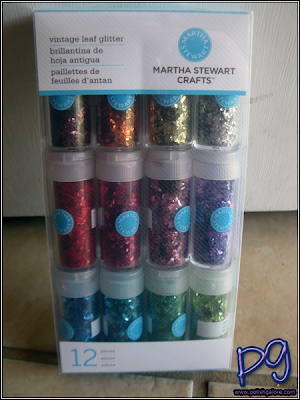 While I was at JoAnn's Fabrics this past weekend, I saw this set of 12 "vintage leaf glitter" vials from Martha Stewart. I had bought her 12 glitters vials about 2 years ago and it's done nothing but sit on my shelf of crafts as another one of those "I'll eventually play with this" things. I figured with this, I could use it in nail art just like gold leaf foil (which I had to fight myself from buying last week as well). At $20, this is a pretty good value considering how little you use for art and how many different colors are included. I opened my vial, and tried to "paint" on some of the leaf glitter using my paintbrush that I clean up my cuticles with but that didn't do much, so I just used my fingertip to place the leaf glitter on my nail and then added a thick coat of Seche Vite. A few pieces were still sticking up, so I pushed them down with an orange stick to try and get it to stick. Bottom line, I wasn't patient enough. I'm positive with enough time and patience (and a good top coat), you could get the leaf glitter to properly lay down and even place in a design. 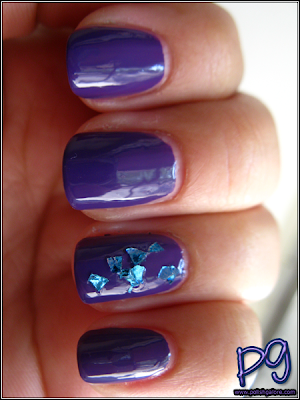 This was over my earlier manicure, Zoya Mira. The shine is amazingly brilliant but as you can see, a few corners are still sticking up which can easily catch on things... mainly hair since I tend to play with my hair a lot. 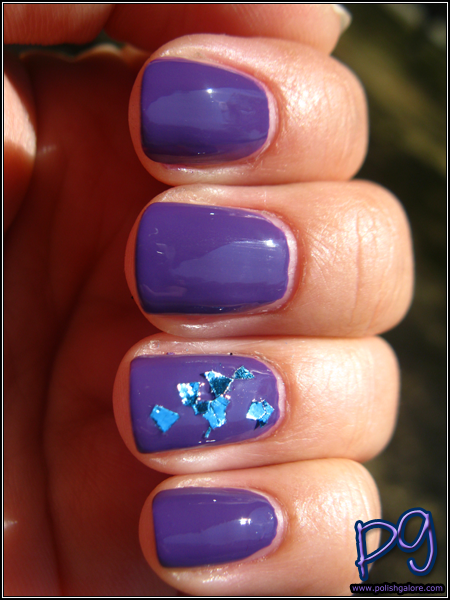 I wonder if you could franken with these tho :D btw, love mira! Very good idea, I would love to pick some up. I wonder if these could be used to franken your own flakie polishes or top coats.